Large open vessel with convex wall. Black glaze overall. Attic. Classical-Hellenistic. Fine, moderately hard clay with some tiny voids and inclusions. Thin, even, semiglossy black glaze. 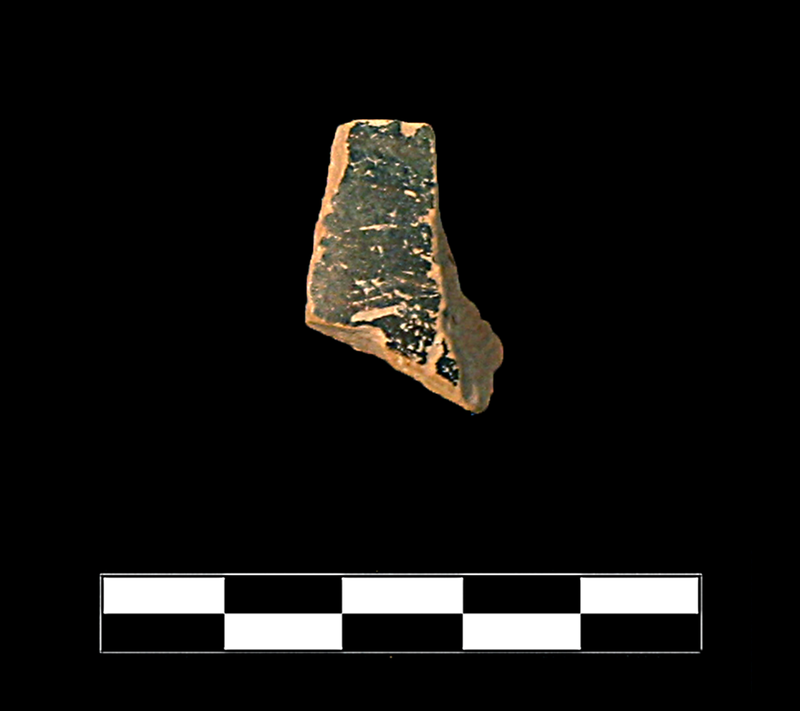 One small body sherd. Moderate, extensive abrasion and sparse gouging and chipping around edges; worn breaks; sparse specks of encrustation.